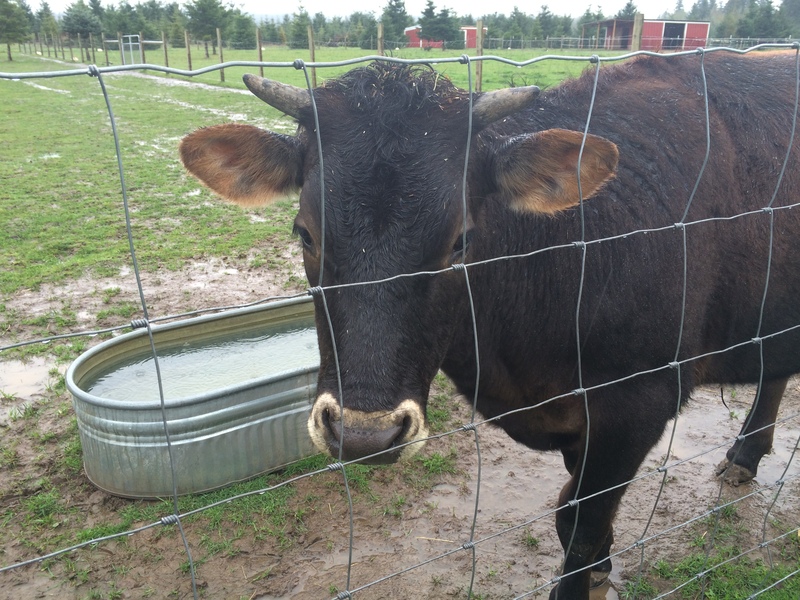 I had the privilege to visit Green Acres Farm Sanctuary on Saturday. It was a work party I found out about from PAWA, Portland Animal Welfare Advocates. We got to do lots of hay clean up for composting and then put down fresh hay for the animals to roll around in and munch on. It was awesome to see how happy the ducks and chickens were with their new fresh spaces. And it was super awesome to see such a fun group of people working together to help out some amazing rescue animals. What I really was the most surprised with was how my hay fever was totally non-existent. I used have severe allergies to grasses and hay and when I was a kid going to a farm if I touched anything I would practically just break out in hives. I honestly believe that because I have a super clean and anti-inflammatory diet that my allergies have disappeared. It was only more of a confirmation to see such a drastic change when I was just playing (well working) in the hay!!! So what the hay… try to go vegan and see how much better you feel! Go vegan for this “little” guy named Hershey, he’s a steer at Green Acres who is only a year old. He was brought in by someone at a veal auction that was disturbed how the animals were treated and brought to the Sanctuary when he was only 3 days old!!! He is awesome and wants to play and is doing amazing because of dedicated animal lovers!